From Rob Sanders, author of the acclaimed Pride: The Story of Harvey Milk and the Rainbow Flag, comes this powerful and timeless true story that will allow young readers to discover the rich and dynamic history of the Stonewall Inn and its role in the gay civil rights movement—a movement that continues to this very day. In the early-morning hours of June 28, 1969, the Stonewall Inn was raided by police in New York City. Though the inn had been raided before, that night would be different. It would be the night when empowered members of the LGBTQ+ community—in and around the Stonewall Inn—began to protest and demand their equal rights as citizens of the United States. 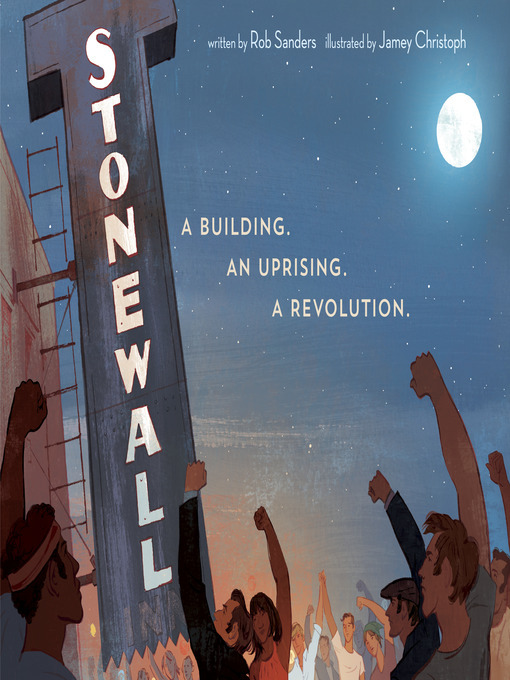 Movingly narrated by the Stonewall Inn itself, and featuring stirring and dynamic illustrations, Stonewall: A Building. An Uprising. A Revolution is an essential and empowering civil rights story that every child deserves to hear.